Gilbert, Arizona is a town southeast of Phoenix. Gilbert began as an agricultural community, with the town growth influenced by construction on the Roosevelt Dam and the Eastern and Consolidated Canals. It was incorporated in 1920. Known for years as the “Hay Capital of the World” through the 1020s. In the 1970s, 53 square miles of land was annexed for additional development to take place. Gilbert has a variety of amenities to enjoy. The Gilbert Historical Museum is located in the Heritage District of Gilbert and opened in 1982. It was built in 1913 as the original elementary school and is on the National Register of Historic Places. History lovers will enjoy the archives and artifacts that share the past. The Gilbert Old Town Heritage District is the site of the original town and maintains the flavor of the agricultural community from that time. In the district, there are historic buildings that now house shops and restaurants. The Riparian Preserve is the perfect spot to enjoy the outdoors with fishing, hiking, picnicking and bird-watching. While walking 4.5 miles of trails you may see many of the 200 species of birds. There are also casinos, and theaters and other things to keep you occupied. If you like sports, the Big-League Dreams Sports Park will be a pleasure to utilize. The fields are smaller replicas of famous ballparks, geared toward youth softball and youth baseball and adult slowpitch softball. It also is used for special social events. Real estate in Gilbert is a combination of older stucco homes and modern Tuscan style homes. Single-family residence has three to four bedrooms and sits on spacious, well-manicured lawns. This historic area is a vibrant combination of old and new and is considered a peaceful town. In many ways, it doesn’t look like a desert town. The community is a friendly one, and having fun and taking part in athletic events is popular. Gilbert is a peaceful and quiet community, and when you consider the beautiful natural surroundings, the history and the many amenities both local and in nearby Scottsdale, you will find this is a must-consider destination for home buyers searching in the Scottsdale and Phoenix area. If you would like more information on homes for sale in Gilbert, Arizona, please contact us today and allow us to assist you. 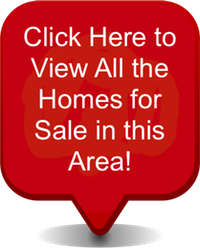 Access all Gilbert homes for sale and Arizona real estate here. Properties in Gilbert are updated daily from the MLS, so be sure to return here for the newest listings for sale in Gilbert, Arizona.